Here’s a provocative article from DiscoverMagazine.com as it attempts to explain how much chimps can tell us about ourselves, or even Donald Trump. Today’s politics seems to have fallen to new lows, but in reality, politics has always been divisive and lacking in civility. It wasn’t so long ago when politicians settled disputes with a duel at high noon (Andrew Jackson vs. Charles Dickinson in 1806). Well, this article takes these political charges seriously and considers what evolution has to say about war, violence, gender roles, economic inequality, sexism and other human behaviors. But while a few good points are made, it makes some serious blunders. Evolutionists, of course, love the narrative that humans are animals, and, therefore, often claim that our behavior can be traced back through our evolutionary ancestors- apes, thus giving us some kind of helpful insight as to who we are. 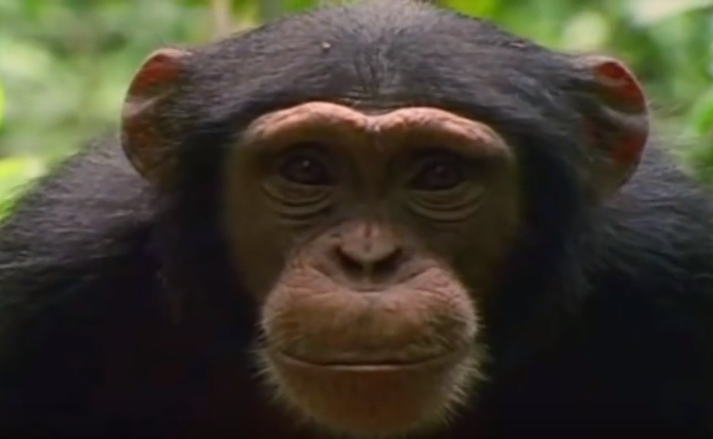 The author admits this practice is enticing because evolutionists believe chimps are our closest living relative, but he concedes that this assumption is ‘mostly’ wrong. In order for it to be correct, he says, we must know whether similar traits are truly similar, or the result of different evolutionary paths. But since we don’t know how a particular trait evolved (because not all traits are comparable), we can’t make a valid comparison. At the heart of this article is a deep, uncontested commitment to evolutionism. The main reason why this evolutionist doesn’t believe it’s valid to compare President Trump to an ape or chimp is because he believes humans have evolved independently from them for at least five million years, along vastly different paths. One thing I’ll agree with the author on is the importance of dispelling erroneous and dangerous thinking. It sounds like he recognizes the danger of comparing humans to an ape… such thinking leads to a justification of racism, and many other cultural injustices, and I think most would agree this is wrong. But then he turns the coin over and suggests that religious thinking and the belief that humans are unique, or that human nature somehow “lies outside of the natural world, with no connection to other living things” is the real problem. He claims this type of thinking has been used to justify the exploitation of other species, and while there may be some truth to that, I think most people reject wrongful exploitation, yet he fails to mention how people are guilty of using evolutionary beliefs (to a far greater degree) to justify racism and exploitation. Nonetheless, he digs in and seems to drag the issue down to a whole new level, even to the point of contradicting all his previous claims. Suddenly he rants that anyone who refuses “to recognize our connection to other primates” epitomizes an “anti-evolutionary dogma,” and such people deny our biology and history, negating the “basic realities” about of our bodies and who we are. On the other hand, those who realize how closely related we are to the apes, they’re the ones who are the worthy, thoughtful saviors of humanity as they clamp down on any type of religious thinking. Wow! What hubris and condescending superiority. Clearly his evolutionary thinking has caused him to react the very way he condemns others… yet I doubt he recognizes his own hypocrisy. And despite the fact that he claims we can’t make valid comparisons between humans and chimps, he does exactly that, accepting that we can learn a lot about our social behavior by studying the social behavior of chimps. He doesn’t think racism and other political issues can be explained by our similarities to chimps, yet such evolutionary thinking has certainly justified racism- from placing aborigines in zoos, the holocaust, abortion, slavery etc. The uniqueness of human beings is not the scourge the author claims it is. I absolutely believe God made us unique- in his image. We’re not animals because we did not evolve from animals. If anything, we’ve been classified as animals due to evolutionary indoctrination, but such thinking doesn’t mean that we are animals any more than thinking we’re the King of England makes us so. The author seems to be on a mission to free chimps from any implication of guilt by association. He believes in evolution, but doesn’t want us to think we evolved any undesirable traits from chimps, but that our horrible human behaviors are strictly our fault. Even though I agree chimps are not to blame, my reason for doing so is because humans have not evolved from any other animal. Our uniqueness has nothing to do with millions of years of evolution, but due to our being made in God’s image. The author claims that humans have evolved the capacity to be the most compassionate, cruelest, creative, destructive of all life, and that how these differences came to be matters. And while I agree humans do indeed possess these many opposing characteristics, he wrongly believes the only way we can understand our humanity is through understanding our distinctive evolutionary history. And that’s grossly incorrect. We can understand our humanity by understanding our relationship to God, which is explained in the Bible, and follow him. I think it’s that simple. Humans are sinful from birth and are capable of good and evil, and that has to do with our ancestry to Adam and Eve, not to any hypothetical animal. God offers us a solution to all the problems and social ills we face, and I believe that solution is found in Jesus Christ.